Dark Matter, Virtual Drum/Percussion from Fxpansion. FXpansion introduces Dark Matter, a new expansion pack for Geist featuring a selection of processed drums for electronic music. Dark Matter features 135 multi-sample pads, 1,150 WAV samples and 64 RX2 loops. It uses acoustic drums, cymbals and hi-hats which were processed for experimental, industrial, urban and electronic musics. The sounds are organized in presets pads featuring 8 layers each, as well as mix-ready presets and kits. You’ll also get a bonus with ambient and texture loops for drone and soundscape creation. 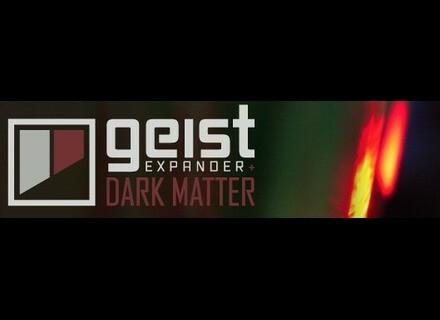 Dark Matter for Geist is available for 25€/$29 at www.fxpansion.com. Klevgränd Produktion launches the Korvpressor Korvpressor is a new compressor/limiter plug-in for Mac OS X and Windows as well as an iPad app, available now for a discounted price. Sonokinetic releases Tutti Vox Sonokinetic announces the availability of Tutti Vox, a new choir sample library designed to complete your virtual orchestra with Kontakt 5. The Warldorf Attack Drums app is out Waldorf has released at the AppStore the iPad version of its Attack drum synth that had been announced last January at NAMM.